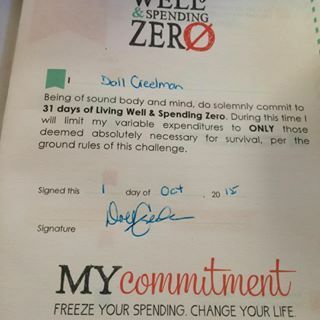 DAY 1 Living Well Spending Zero Challenge | Tweak your week! I’m really good about working with my budget. This month I’ll tighten the reins a bit and see where the changes work for me and will keep track of times I chose not to spend and add a $$ amount to those times. Anyone wish to join me? Follow the link above. I’m doing this too! Good luck!